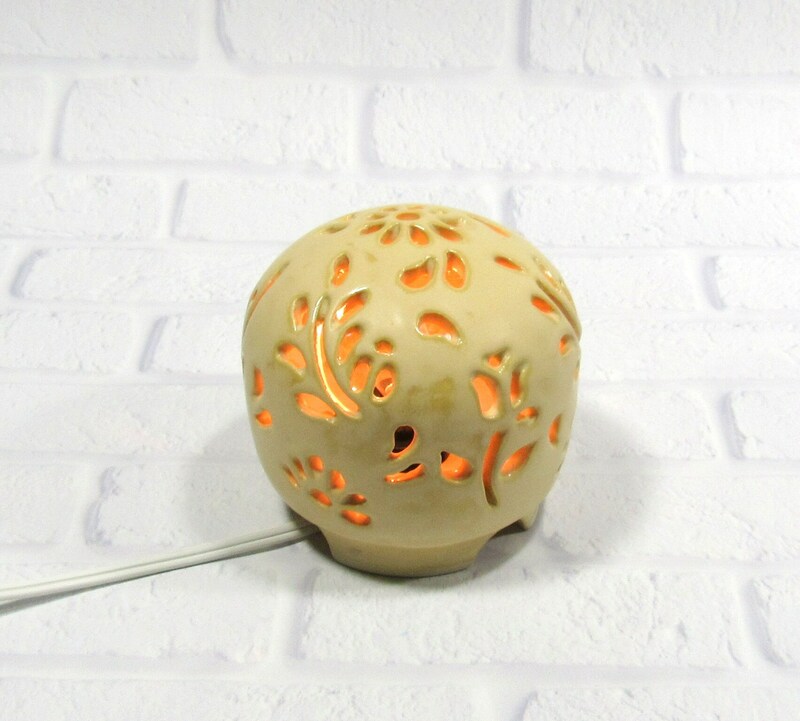 This yellow floral ceramic night light lamp will help set the mood in any room in the house. 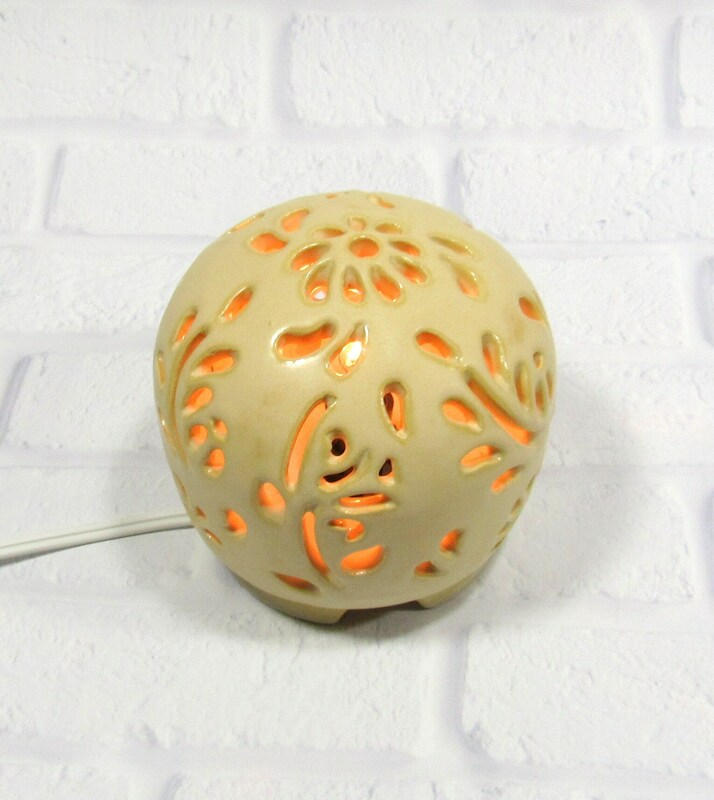 It is a round table lamp with great ambiance lighting for the nursery or kids room as well the teens room or powder room. 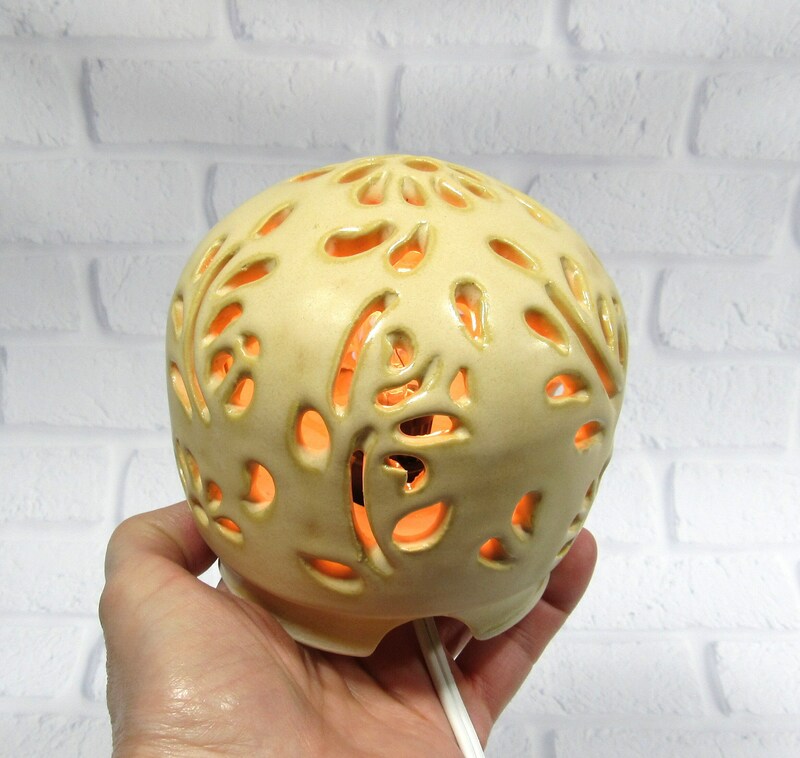 No molds were used to make this lamp. 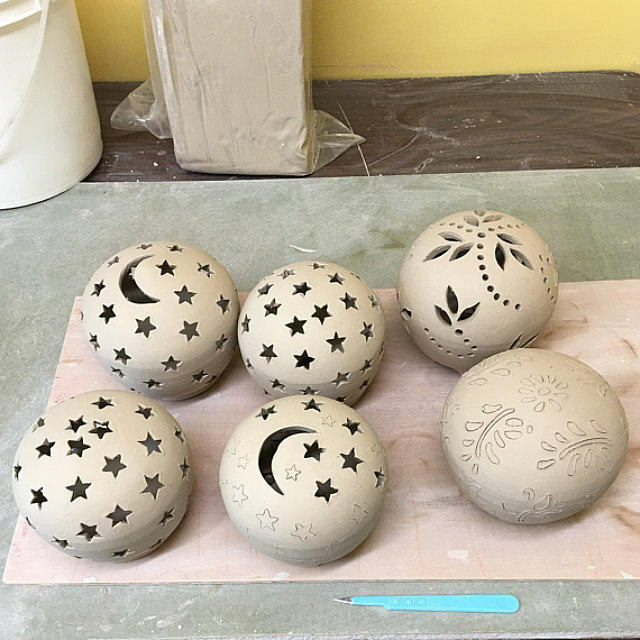 It was thrown on the potter's wheel as a closed form. Once it was dry enough to handle, I added the feet and carved the design using a surgeon's scalpel. 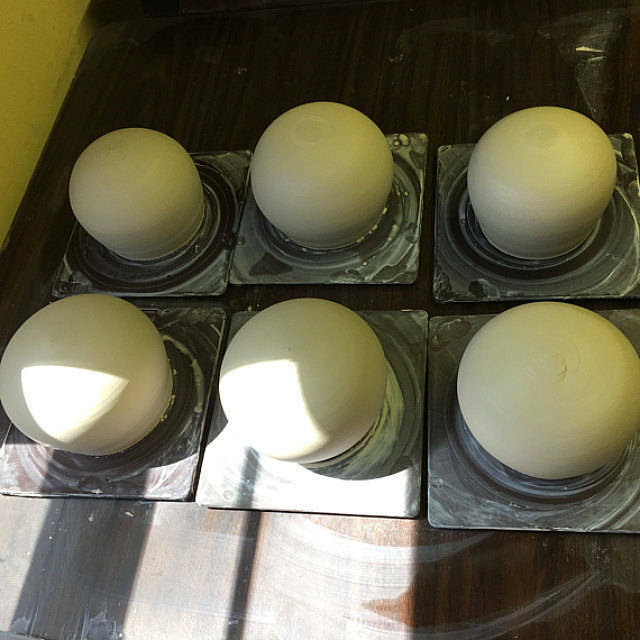 It was fired twice in an electric kiln in my home studio. 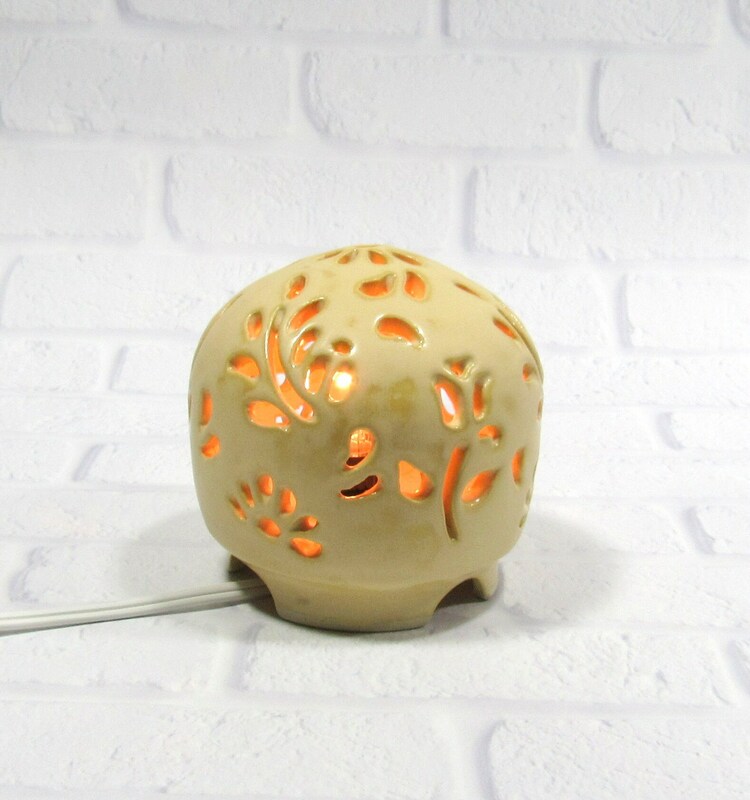 No need to worry about the safety of children and pets around lit candles, or deal with messy melted candles or dead batteries in smokeless tealights. 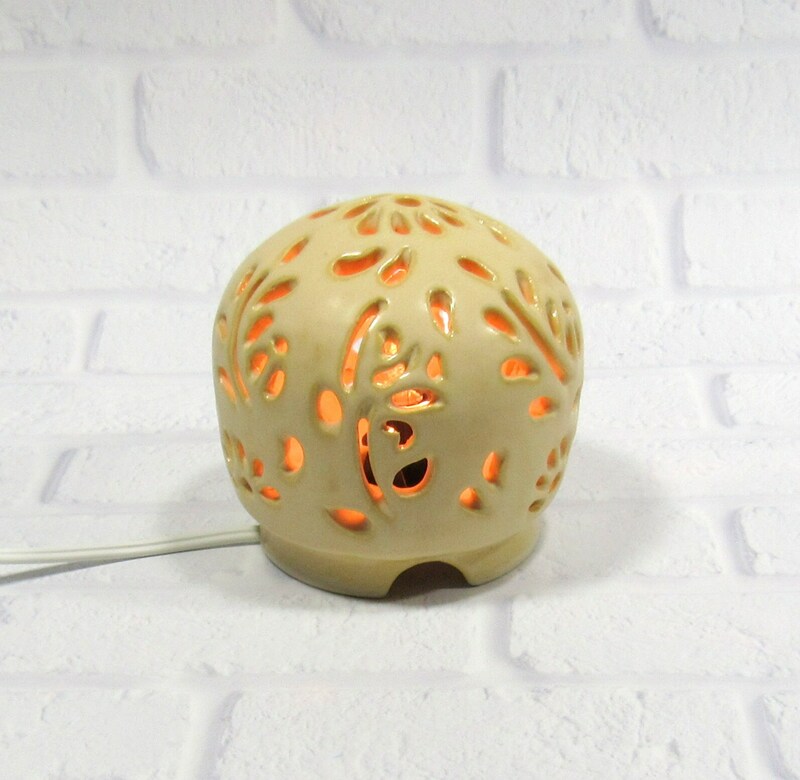 This lamp is 4.25 inches tall and uses a snap-in socket with a 4w or 7w lightbulb (included). It has a white cord with an on-off switch. 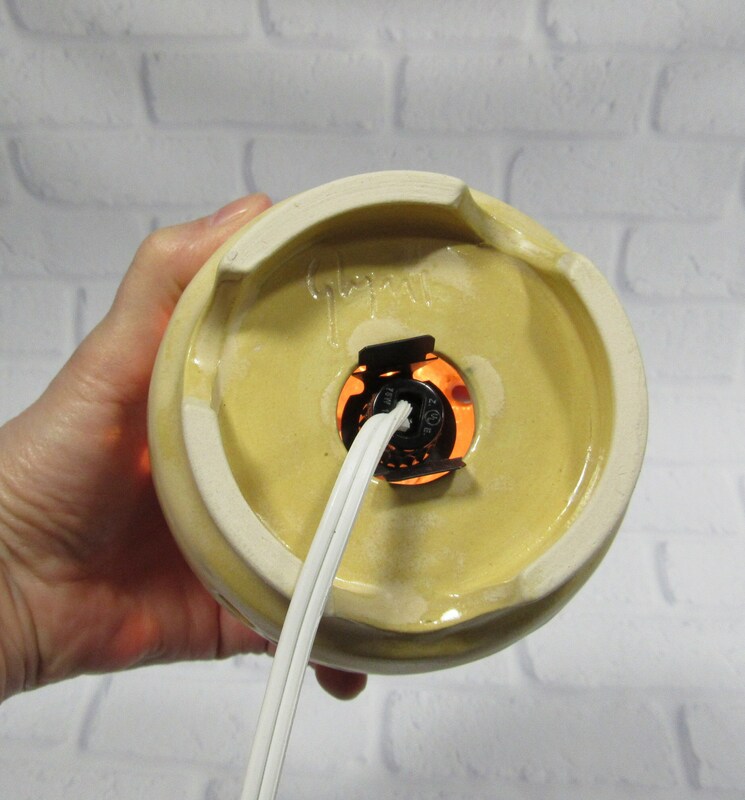 It's as safe and clean as any other electric lamp in your home! 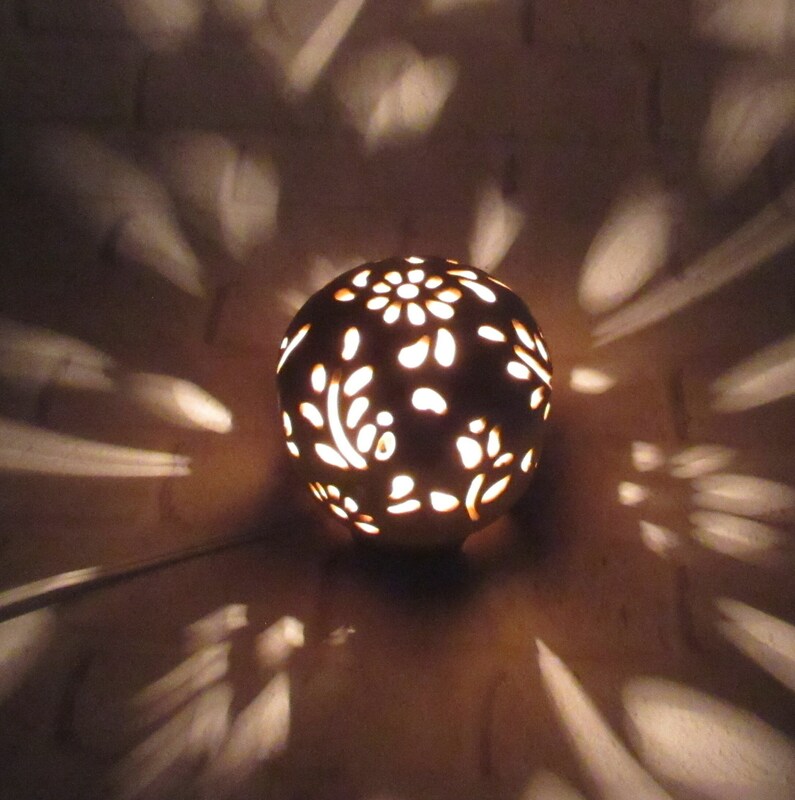 You can also change the effect to match your mood by using a frosted or colored light bulb! 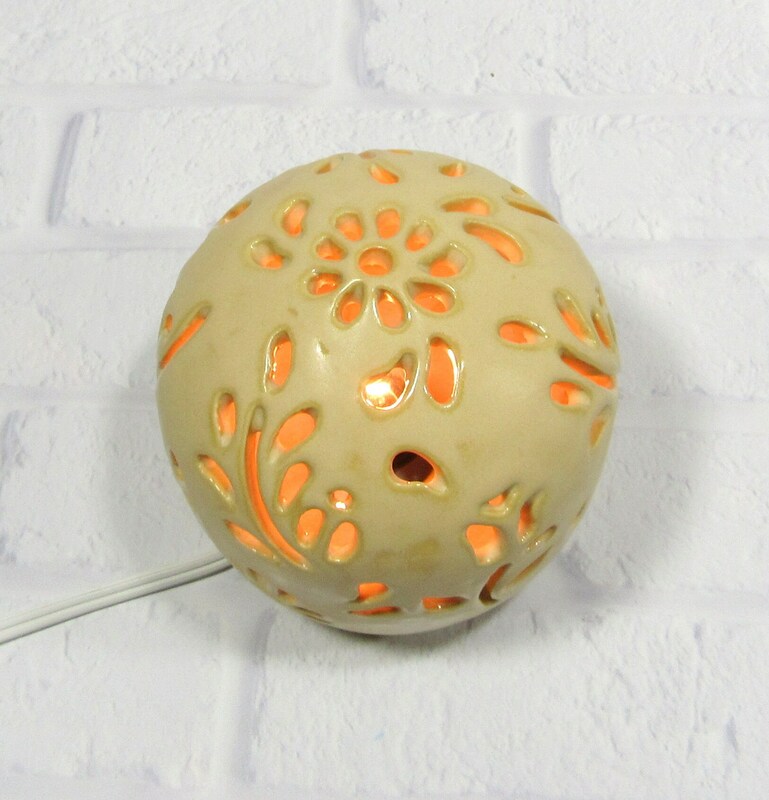 The electrical cord and socket that come with this lamp are rated for US electrical current which is 120 volts. If this is not compatible with the voltage in your country you will need a transformer/adapter.